In 1929, General Metals Powder Company (GEMPCO) was born when our founder, John Fisher, patented a unique copper powder manufacturing process used for the production of sintered metallic friction materials. 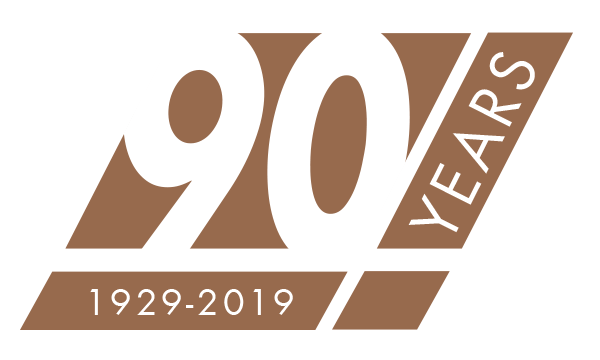 Now in 2019, GEMPCO dba GMP Friction Products celebrates 90 years of innovation, quality, and customer satisfaction. There have been many changes in our industry over the last 90 years, but one thing that has never changed is GMP’s commitment to custom tailored solutions for our customers. Nearly every material GMP has in production began as a custom tailored solution to a customer’s unique application. Our desire and ability to solve these complicated customer problems has helped to ensure our longevity and success. What does this mean for our customers? With over 90 years’ of industry experience, the learning curve with most engineered solutions is shortened, allowing GMP to provide customers with unique and timely solutions in a competitive environment. Furthermore, GMP still produces components and materials that date as far back as World War II. These materials are produced with the same consistency and quality today that they were nearly a century ago. This allows GMP to support our customers product lines for many years. As we reflect over these last 90 years, we have seen applications get faster, more powerful, and require more energy. GMP has continued to innovate and develop materials able to meet and exceed the requirements of such demanding applications. This philosophy of continuous improvement is our core belief: whether it be improved materials, improved processes, or improved capabilities, customers can expect to receive the same high quality parts made with our custom materials on time, every time.